One goal which I have had for a long time is to become a teacher. While I am not necessarily working towards it at this point in my life/career, it’s still something which I’d like to do eventually. What I really like, is the way that teachers can have a positive and significant impact on the lives of others. Recently I’ve been particularly affected by a few teachers in works of fiction, so I decided to write about each of them and why I appreciate them so much as fictional characters. Miss Hunter is the teacher on The Waltons who appears from Seasons 1 to 5. There are one or two others who come after her, but none of them were really all that memorable. Miss Hunter taught John-Boy and did a lot to help him discover his potential as a writer. I really liked how John-Boy and Miss Hunter were actually friends too and really cared about one another outside of the classroom. In one episode, “The Fire” she is particularly admirable where she stands up to a violent creationist who insists that she stop teaching evolution and then continues to teach, even after he burns down her school. 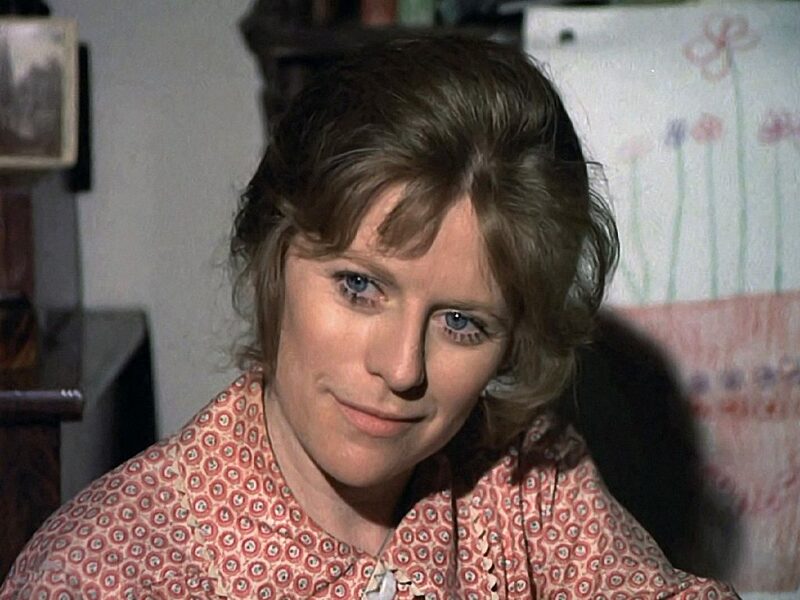 Her progressive views are very appreciated in the 1930s world of The Waltons and her calm, reasoned approach to everything makes her a very likeable character. What helped to make her even more likeable to me was the fact that her character fondly reminds me of an English teacher I had while I was in Sixth Form who did a lot to encourage me with my own writing. It’s a terrible shame that Miss Hunter got written off so casually in the first episode of Season 6. I was a little late to the party (as they say) when it comes to Harry Potter but over the last couple of years I’ve really gotten into it. 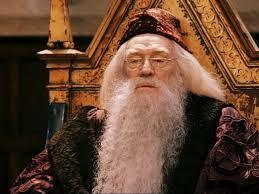 Professor Dumbledore is the head teacher at Hogwarts, a secret, magical school. While he may teach a subject which does not exist in reality, I do believe that many aspects of his personality reflect desirable qualities for real life teachers. Not only does Dumbledore clearly know a lot about the subject that he teaches, but he is also constantly encouraging his students while not being afraid to tell them when they are wrong or out of line. Meanwhile, Dumbledore also provides his students with a perfect role model. Not only does he teach them about magic, but about how to behave as sensible, mature adults. He has a very trusting nature and he always remains calm and polite when faced with conflict. I was extremely touched when a friend of mine said I would be Dumbledore, if I were a Harry Potter character. He plays a larger role in The Half-Blood Prince and what happens made me feel extremely emotional. Oh my. Where to begin? 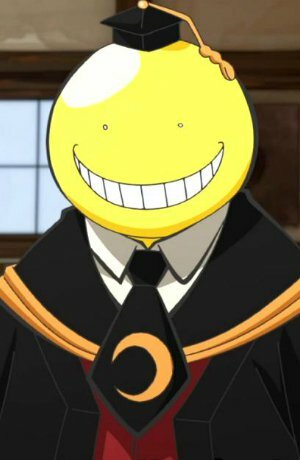 Koro Sensei is the teacher in the anime and manga, Assassination Classroom. The story behind him is actually very complex and it’s very hard for me to explain if you don’t know anything about it. Essentially, he’s a superbeing who is going to destroy the Earth but has asked to be able to teach a class of under-privileged children in exchange for allowing them to try and kill him (and save the Earth.) Please do watch/read Assassination Classroom so you can find out what it’s all about – there’s so much more depth to it than there first might appear to be. Koro Sensei cares for his students very much indeed. He identifies their strengths and tries to encourage them so that they can flourish. Meanwhile, he identifies their weaknesses and also helps his students to overcome them. He has a big yellow smiley face, which helps to make him seem friendly and approachable. He sometimes intentionally makes himself look silly so that his students can laugh at him, but he is completely serious when he needs to be. He even goes out of his way to help his students to overcome the issues they face outside of the classroom. He’s simply amazing and his story is one of the best and most emotional pieces of media I have ever consumed. I am always going to be very fond of these characters and their stories will always be ones which touch and move me. I think that we can all appreciate teachers in fiction, because most of us will have had that school experience and all of us will have filled the role of the student and of the teacher at different points in our lives. I feel like being able to influence and encourage others is a highly valuable quality and something which a lot of good people do, even if they don’t become teachers. I’ve learned a lot of important things from many of my closest friends and it helps to strengthen the strong feelings of respect that I hold for them. As we move through life, we’re always going to encounter new ideas and we’re always going to meet new people in whom we can see potential which they have not realised. Teaching and learning are not limited to childhood. This entry was posted in Countdowns, The Waltons. Bookmark the permalink.